Achieve a smoother, more refined complexion all year round with the Institut Esthederm Lightening Buffing Mask; a grain-free formula that combines the benefits of a face scrub and a cream mask. Fortified with Kaolin, the mask effortlessly dissolves dead skin cells, eliminates impurities and tightens visible pores, whilst the brand's Cellular Water boosts the skin's renewal process to reveal a touchably soft complexion with restored luminosity. 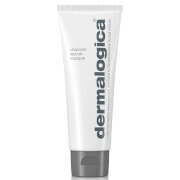 Ideal for surface flaws, pigmentation spots and uneven skin tone. 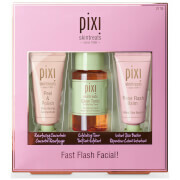 Apply a thick, even layer to the cleansed, dry skin of the face, neck and décolleté. Leave on for several minutes, then scrub and exfoliate with wide movements. Rinse and dry. Aqua/Water/Eau*, Cellulose, Kaolin, Cetearyl Alcohol, Cyclopentasiloxane, Glycerin, Dipropylene Glycol, Cyclohexasiloxane, Tocopheryl Acetate, Fructooligosaccharides, Ascorbyl Methylsilanol Pectinate, Creatine, Morus Alba Leaf Extract, Peumus Boldus Leaf Extract, Ascorbyl Glucoside, Superoxide Dismutase, Carnosine, Algae Extract, Disodium Adenosine Triphosphate, Morus Nigra Root Extract, Pyrus Malus (Apple) Fruit Extract, Glycyrrhiza Glabra (Licorice) Root Extract, Sodium Cetearyl Sulfate, Sodium Lauryl Sulfate, Propylene Glycol, Aluminum Silicate, Butylene Glycol, Benzyl Alcohol, Glucosamine Hcl, Xanthan Gum, Methylchloroisothiazolinone, Methylisothiazolinone, Fragrance (Parfum). *CELLULAR WATER (Aqua/Disodium Adenosine Triphosphate/Carnosine/Mineral Salts).